Whenever I visit Sydney, I’m always blown away by its natural beauty and find myself wanting to spend most of my time outdoors taking it all in. I can hear you groan, Sydney-haters, but hear me out. Having spent most of my life so far living in a city bigger than Sydney (I won’t mention any names), I know how frustrating traffic jams and line-ups can be, not to mention expensive housing and all those people everywhere. I find these annoying aspects of big city life motivate me to seek out and appreciate the natural beauty of a city, for its refuge and ability to put things in perspective. And Sydney, with its endless harbour and spectacular coastline is truly hard to top. It may be approaching cliche status but surfing is one of those activities that will have you hooked in no time. It challenges you to the core, literally and figuratively. There aren’t too many cities in the world where you can ride decent waves without leaving the city. Sydney is one of those places, with plenty of surf beaches to catch a wave or two on. You can rent boards and book lessons at Bondi, Maroubra or Manly Beach. Check or call ahead for tide times and swell conditions and be prepared for an exhilarating full body (and mind) workout. Stand-up paddleboarding, or SUP, may not be the newest activity in town anymore but there’s still plenty of you out there that haven’t given it a go. Have a couple of spare hours? Head over to Watson’s Bay, Rose Bay, Balmoral, or Manly to see what gliding across the water while standing really feels like. It’s a superb core and balance workout. But don’t forget to look up or you’ll miss the views from this unique upright perspective. If you don’t fancy a swim in the open ocean, dive into one of many ocean pools. From the iconic Icebergs at Bondi to hidden gems amongst the Northern Beaches, Sydneysiders and visitors alike are spoilt for choice here. Some (Icebergs) are better for lap swimming than others but there’s always room for standing pool exercises while staring out onto the open ocean. You may never want to swim in a chlorinated indoor pool again! There’s something special about practicing yoga outdoors. Although there may be more visual and auditory stimuli to take in, if you find a more secluded spot that stimuli will only add to the experience. Tuning into the sound of leaves rustling in the wind, waves crashing onto the shore, or birds calling in the distance is a great way to clear and focus your mind. Grab a mat (or towel if you’re not traveling with a mat) and head to an outdoor space that brings you peace of mind. Be forewarned, though: it may be difficult to practice yoga in a four-walled studio after you try this. Once again, you won’t be lacking choice here. 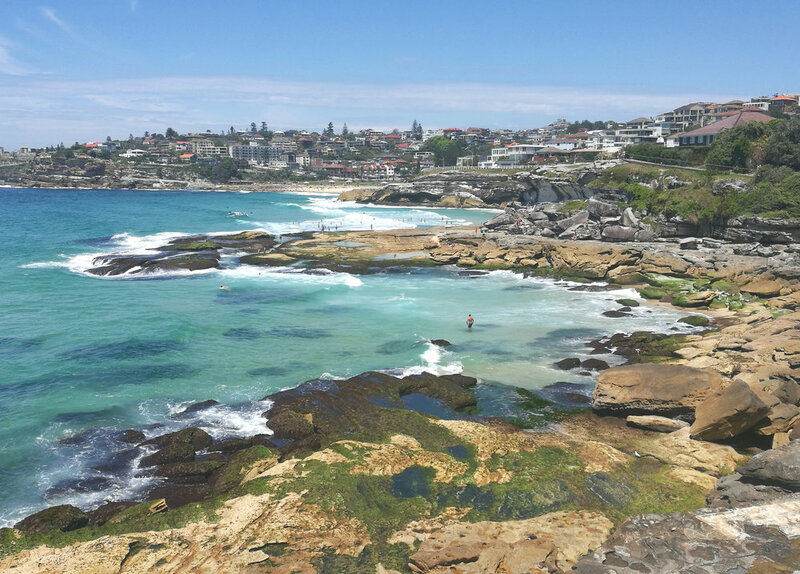 The Bondi to Coogee walk (allow 2 hours if including swimming) is ever-popular but in my opinion, far from over-rated. The views are spectacular, the cliff faces dramatic and the swim spots just ideal. Hot tips: Walk it on a weekday for less traffic and be sure to wear a hat as the walk is fully exposed. Spit to Manly: More of a bush walk than Bondi to Coogee, you’ll need more time for this one (allow a full day) but you won’t be disappointed. Cool off in beautiful swimming coves as you walk your way to the capital of the Northern Beaches, Manly Beach. by heading back along neighbourhood streets from Malabar beach. Follow the trail markings closely as you may not have someone in front of you to follow. La Perouse (allow 3-4 hours): Another spot away from the crowds, La Perouse is found at the southern end of the Eastern beaches. 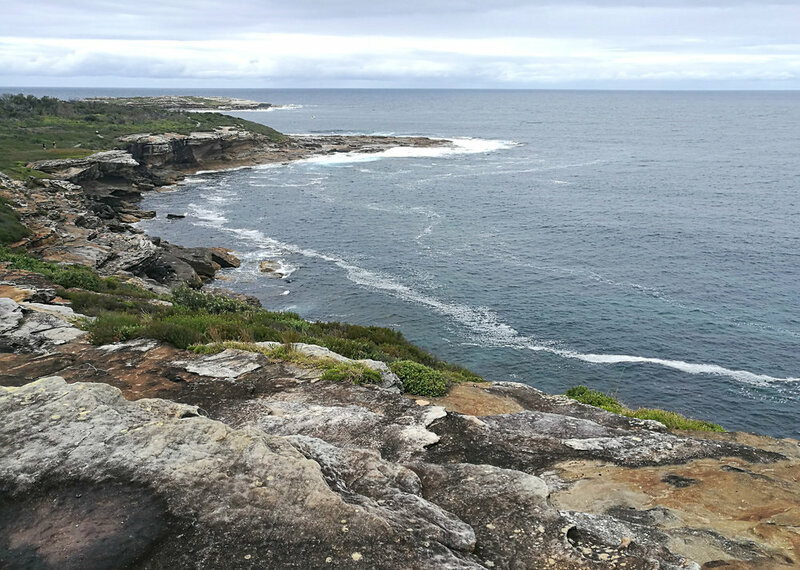 This mildly undulating coastal walk is set amongst a golf course and a National Park and can be accessed via Anzac Parade drive or Congwong Beach. Follow the marked trail around the headland toward Henry Head lighthouse. Shortly past Cape Banks, veer inland back to Anzac Parade via Cape Banks road. There’s plenty to explore here. Entrance into the ocean is possible (tide and swell dependent) but apart from Congwong and Little Congwong beaches, there are no other official beaches along this walk. North Head - Want to combine a ferry ride, spectacular city views, quiet beaches and a walk? Don’t miss North Head. Grab the Taronga Zoo ferry from Circular Quay, walk up past the zoo entrance, and head into the bush on your right. Those coveted city views will follow you along the headland where you’ll also stumble across several idyllic beaches. Follow this walk all the way to Balmoral Beach if you fancy a full day out. This inner-city green space is a bubbling hub of morning and evening exercisers, 7 days a week. Definitely find your way here if you’re lacking workout motivation. The sight of people running, cycling, walking and bootcamp-ing all around you is bound to get you going. Don’t worry, there’s plenty of space for everyone, even the horseback riders. Walk, run or bike around the perimeter or make your own route via dirt trails and inner roads. Get out and amongst the green (and blue) in Sydney! Win a free workshop - Tell us your thoughts!